Jaguar Land Rover’s Special Vehicle Operations (SVO) hasn’t existed that long but has already created a series of impressive custom builds. Since beginning in 2014, they have created vehicles for fashion icon Paul Smith and movie cars for the James Bond Film Spectre. 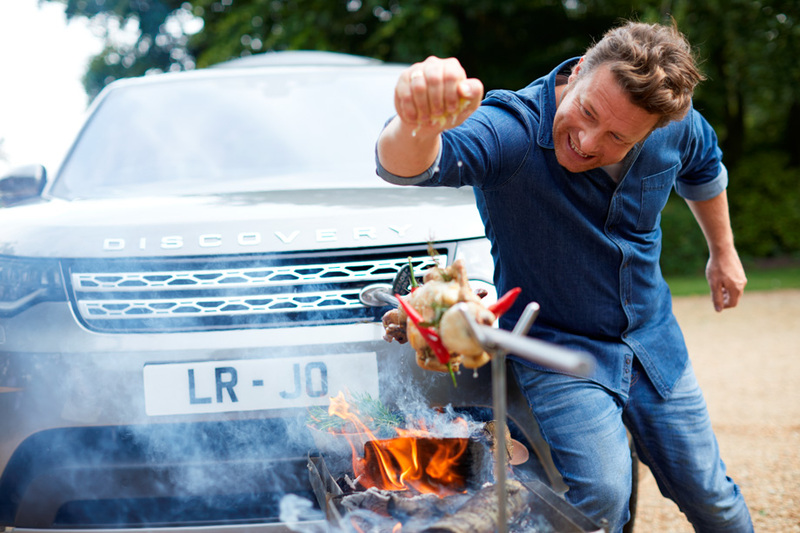 Their latest collaboration was with celebrity chef Jamie Oliver to transform a new fifth generation Land Rover Discovery into the ultimate kitchen on wheels. Oliver is a lifelong Land Rover customer and fan and threw some seemingly impossible to execute ideas at the SVO team. I dreamt big and asked for a lot, and what they’ve done has blown my mind. 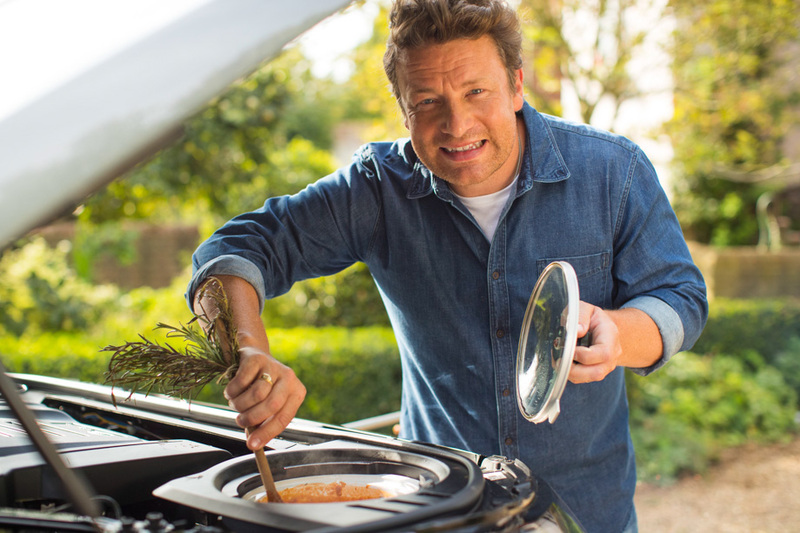 I didn’t think they’d actually be able to put a slow-cooker next to the engine and an olive oil dispenser in the boot, but they did. The result is an amazing Discovery, tailored perfectly for me and the family – we love it. 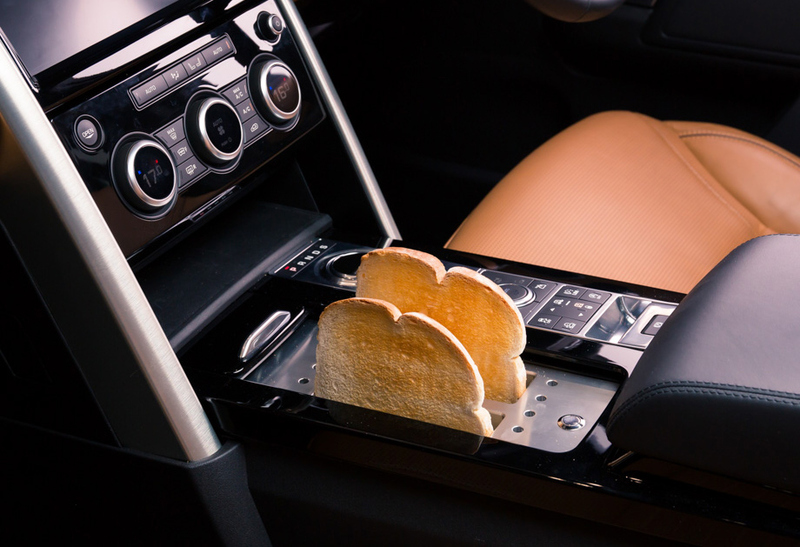 The resulting vehicle has fifteen culinary features added ranging from an external herb garden, engine bay slow cooker, wheel mounted ice cream and butter churns and a center console integrated toaster. The Discovery ‘Kitchen Edition’ is featured in a series of three videos Oliver produced for his Food Tube channel. The first chronicles the design development, followed by the reveal and lastly some cooking demos.